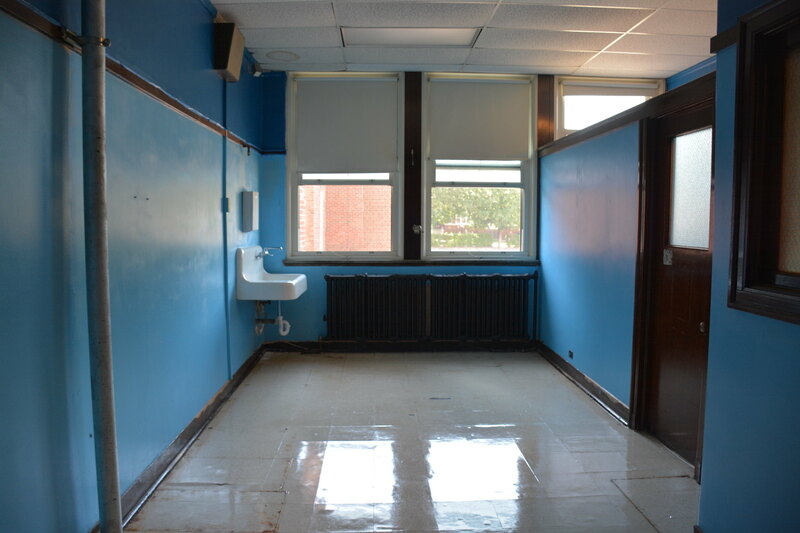 Last Friday, United Way of Metropolitan Chicago volunteers, University of Chicago students, University of Illinois Chicago Medicine and the Greater Auburn-Gresham Development Corporation (GADC) came together to paint a new school-based health center at Cook Elementary. 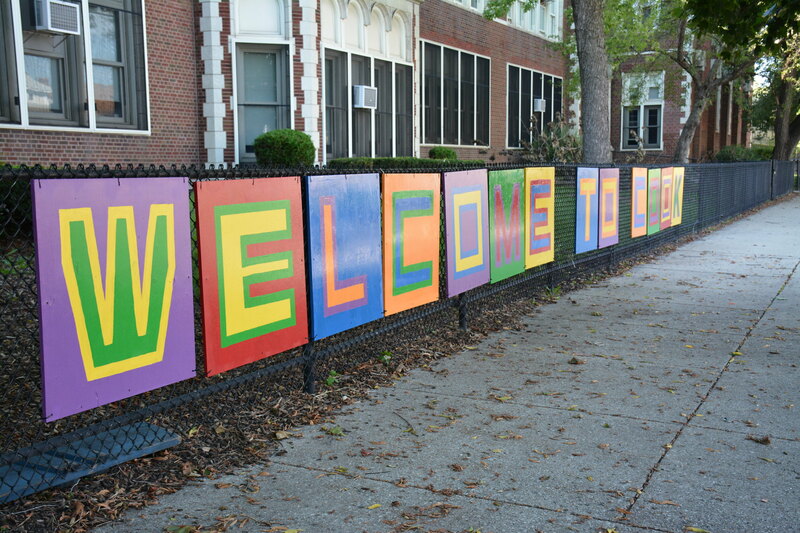 Cook Elementary, a Chicago public school, is situated in the middle of Auburn-Gresham, a community in which GADC leads a developing United Way Neighborhood Network. A new health clinic in the school, supported by UIC Medicine and GADC’s GOLD Initiative, will open this fall. We know that healthy students are better learners, and at Cook, one in every four students is out of medical compliance with CPS standards—that means they’re not receiving either physicals, dental care, vision exams, or basic vaccinations. These are all services that this health center will, very soon, be able to provide for students and parents. This health center has the ability to make a big difference: improving attendance, academic performance, and overall health throughout the community. 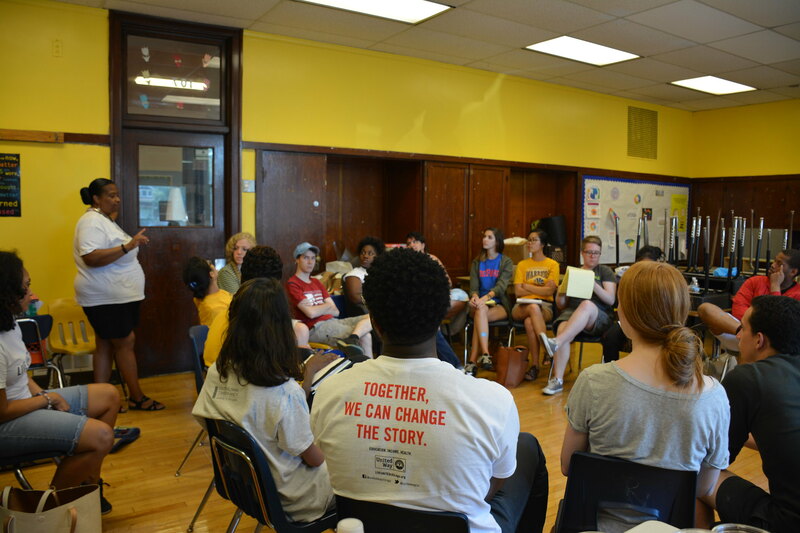 After a long day of painting the health center and doorways, Summer Links students from University of Chicago’s Community Service Center (UCSC) sat down to discuss issues of education in Chicago’s Public Schools. We learned about the holistic approaches that schools in Auburn Gresham are taking to improve student achievement over the course of an hour-long discussion with GADC’s Tenisha Jones, Cook’s Principal Narineh Gharashor, UIC Medicine’s Angela Ellison, and United Way’s Iona Calhoun-Battiste. Many thanks to all the partners and volunteers that showed up to help on Friday! Now, Cook Elementary is ready to open its beautiful blue health center and freshly-painted front doors when school starts on September 6th.